The world around us is always changing. Magazines and newspapers which existed several years ago are gone. New social networks for authors spring up often. As a writer, you want to make sense of these changes and understand them—but more important than awareness, you want to select the ones which are going to be the most effective for you and your writing. The advice you find is often conflicting. Some people would say blogging is your path while others will proclaim the key is Pinterest or Twitter or radio. As a writer in the publishing community, you feel pushed and pulled in many different directions so you spin around and around and are unsure which way to go. When I discover this conflicting information, I seek information from long-term experts in the area. Earlier this month, two PR experts released Mastering the New Media Landscape. I read this book cover to cover and learned a great deal. 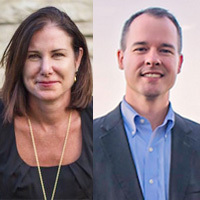 Some of what I learned is captured in this article.In straight-forward language, Barbara Cave Henricks and Rusty Shelton explain how successful marketing has changed in recent years. 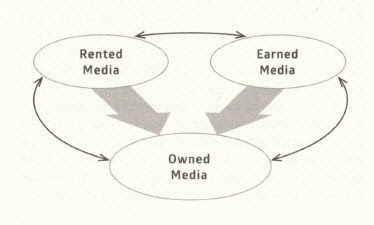 Today’s marketing landscape includes three categories which matter for your focus: rented, earned and owned media. Like a three-legged stool, promotion needs to encompass each area. For years, earned media was the only game in town like television, radio, or a review in the New York Times. 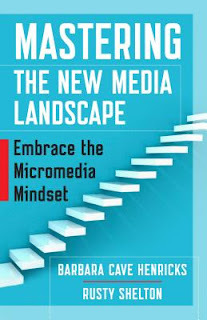 As they explain on page 14, “The challenge with earned media is that it is extremely difficult to get.” Rented media is “a presence and content that you control but that lives on someone else’s platform or stage.” (also page 14). Examples of rented media are Facebook, twitter, LinkedIn, Instagram, etc. They are rented because as a user you do not control the platform and for any reason, they could disappear. Owned media is something you control like your blog or website (assuming it is on your own domain) and your email list. Because you own the media, you can make a direct connection to your target audience. Mastering the New Media Landscape is packed with current examples and specific how-to information. You will want to use your highlighter with this book and consume every detail, then take action to apply it to the successful marketing of your own products, services and brand. Many authors and even some publishers and “PR experts” have a haphazard plan to embrace the changing media landscape. I highly recommend a careful and thorough reading then application of Mastering the New Media Landscape. 1. When you need advice, turn to experts—not just the first person who crosses your path but someone with years of experience. 2. Try their advice and if it works follow it. If it does not work for you, stop. Your path to find your audience is different from my path. Each of us need to take action and be working at it. Doing nothing is the sure path to failure. Take action today.